Universal Translation Services takes on any task regardless of the complexity. We do not only provide professional translation services, but also proofreading, DTP services, software localization, website translation, multilingual SEO as well as search engine marketing services at the lowest rates in the industry. No assignment is complicated to our team as we carefully assess the demands of the client. An expert linguist is selected to take the lead in the translation with editors and proofreaders assisting him along the way in order to produce an impeccable output. In case the client requires that the output should conform to a certain target market, marketing and communication consultants may also come in. As we all know, services provided by any company are marked for their qualitative aspect. And quality is multi-dimensional. At Universal Translation Services, we deliver the following services with absolute responsibility and quality assurance because nothing matters more to us than the satisfaction of our clients. 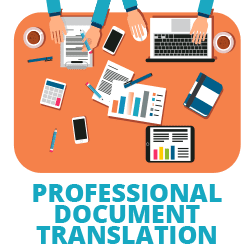 Perhaps this type of translation is the most commonly acquired service, primarily due to the reason that every institution, whether official, corporate or private, runs on documents. And secondarily because immigration laws require translated documents for the processing of visas and other linked documents. Our expertise in document translation includes legal documents (deeds, wills, mortgage, letters, police reports, judicial letters, court decisions, etc. ), medical documents (medical reports, medical certificates, etc. ), medico-legal documents (birth certificates, death certificates, accidental reports, injury reports, etc. ), business documents (agreements, contracts, business letters, etc. ), bank statements and any kind of technical documents. The main goal of translation is to clearly communicate your company’s message in another language. We acknowledge this as a priority which is why our specialists work hard at all times in order to achieve the appropriate tone and choice of words. Plain (literal) translations do not give successful results, but a total content adaptation does. We deal with all types of documents, in any format, including word documents, handwritten text or pdf files. The Portable Document Format plays an important role today due to its ease of use and compatibility with any platform. Our specialists are able to work with any pdf file, we are able to copy the content into an editable format and send it for translation. Later on, the translation is being added back into your document and sent to you. This is what we call PDF translation and we provide high quality output at affordable rates. While this one may seem an easy one, it’s not. Proofreading services play (or should play) an important role in your marketing strategy, as nothing is worse than having your materials flooded with typos, language and localization errors. In order to obtain the highest impact for your marketing campaign you need to have your documents in perfect grammatical and cultural shape. This is where our proofreading services come in: we can proofread, correct and adapt any written material, in any language. Our linguists are well versed in their languages of expertise as well as cultural differences, but also specialized in their field, therefore if you have a technical document to proofread you are rest assured a linguist with a technical background will be assigned to your project. Our services also include DTP services. We allow our clients to choose the layouts, designs, fonts, and colors for their translated documents including newsletters, brochures, slide shows, manuals, booklets and various other promotional, informational or educational documents through Desktop publishing. Our software for DTP services has the built-in source for perfect imagery and graphic settings. We also offer format altering through our software as in if our clients wish to change a format of the document from word to pdf, we can provide that service anytime. The formats in which we offer our DTP services include Word, Excel, PowerPoint, Adobe FrameMaker, Adobe InDesign, PDF, Adobe PageMaker, Adobe Illustrator, Corel Ventura, CorelDRAW, and QuarkXPress etc. Our services include software localization for any platform. 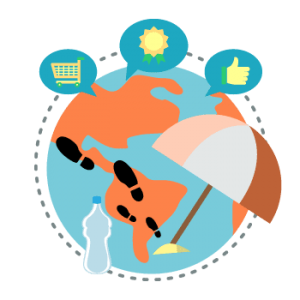 We know that users can be based in any part of the world and they need to understand the content of the software. Regardless of the nature of the software, language translation is a compulsion for its accessibility and usability and our expert team of translators and software specialists delivers top notch localization services. 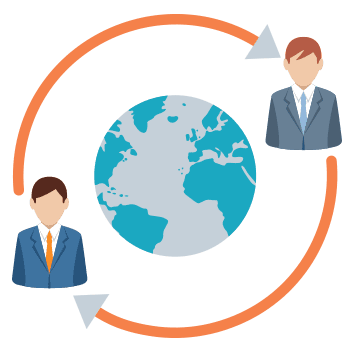 Our localization team takes care of every little feature of the application and localizes it in the most professional manner. Our project manager guides the clients as to how they can get their files ready for localization and how they can send a request for quotes. 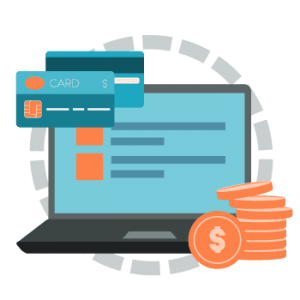 Later they analyze all the information with the concerned team of translators and software developers and after their assessment, a customized, cost effective, timely quote is sent to the clients. Whether you have an educational website, business website, entertainment website or a website that describes your services, you’ll always want to reach out to a maximum number of audiences. But in order to gain popularity around the globe, your website should be available in the language of your targeted audience. We understand the importance of linguistics and we provide website translation services for all types of websites. With the availability of professional translation services for more than 500 languages, translating a website into and from any language is not a problem for us. Our interpreters are always on standby for further study of the website’s original text. We always utilize the best of our translators in providing website translation for our valued clients. We assign the translators according to the need of our customers. We don’t want to brag about our services, but as a matter of fact, they are diverse and up to date. The world is running after the best SEO services and we offer multilingual SEO for our services. We know that you want SEO for your website, web content and other sorts of translated texts on your website even if it’s in your local language. We deeply care about your ranking and content optimization. And our SEO team is always on it whenever a client requires SEO for their translated text. With the help of our native translators and SEO experts, we provide SEO services for all the languages for which we provide translations. And we offer the best rates for SEO in different languages. While English is being spoken worldwide, when it comes to promoting your products and services you’ll get more reach if you translate your content. Studies indicate people are 10 times more willing to spend more time on your website if it’s written in their native language. Also, visitors are 3 times more interested to buy a product if it’s presented in their language. While you may be able to do your own marketing in English, it could be complicated to do search engine marketing in another language you don’t understand. And this is where our specialists can help you, no matter if you’re addressing to the Swedish or the Chinese market, we have the right linguists working closely with our SEO specialists in order to provide you effective SEM services in any language. 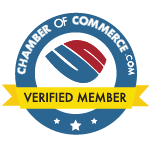 We also offer certified translations for the United States of America. We take care of the process of certification from translation to editing to proofreading and then to the certification. Our seasoned translators have specialized in the certification of the translations. We comprehend the delicacy of certification of translated documents and the legal implications associated with it as per the rules of the United States of America. And we acquire the services of only qualified translators; in fact, our quality check system adheres to the translation standards internationally. 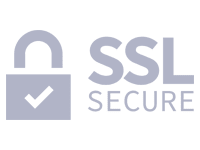 We strictly stick to the security protocols of the translated document, especially if the documents are confidential in nature. We provide certified translations for documents such as birth certificates, marriage certificates, divorce certificates, police records, medical records, diplomas, degrees and school records, etc. We also provide notarized translation where needed. The city of Miami boasts a beautiful mix of US and Cuban culture. Surrounded by white sand beaches and beautiful hotels, the area has been strongly influenced by the Cuban culture. Here you can find Cuban shops and traditional cafés just about everywhere, not just in Little Havana. The trendy nightlife also makes Miami a great holiday destination. You’ll easily find our Miami translation office in Downtown Miami on the 8th Street. You are welcome to visit us at the office at any time during normal business hours. You can also get in touch with us by faster means like e-mail, phone or live-chat on our website. Whatever your translation needs are, we can do it for you. We only provide high quality services and only employ professional translators. We are also one of the lowest priced translation agencies in Florida. Get in touch now! We’ve decided to set up our first US translation office in Aventura, located in the North of Miami. With a population of around 40,000, Aventura is one of the biggest areas in Florida where more than 40% of the population doesn’t speak English as their primary language. Spanish, Hebrew, Yiddish, Portuguese, French, Russian and German among others are highly used in the area. Therefore, a translation agency was highly needed in the area. Our translation office in Aventura provides professional translation services for business as well as for personal reasons. With us you can have just about anything translated, no matter if it’s a technical document or a birth certificate for USCIS. We have specialized translators in just about any field and we cover almost any language. We don’t just translate words into a different language, we transform them. When it comes to the translation of documents, certain aspects must never be overlooked. And since we, being the devoted linguists, started our company with seasoned translators, follow strict rules while providing professional document translation. Our translators have a profound knowledge of the terminologies used in multiple fields, a prerequisite for quality translations. We encourage them to keep digging and look for better ways to improve their process and quality. For instance, they ensure that a legal document is translated with the appropriate terms in the target language for legal purposes and to avoid any inconvenience. Same is the case with the documents required for immigration, business, education, healthcare and technical purposes. This is why we insist on the quality of our professional document translation services. The translation conducted at our end has a proper education of translation techniques, tips, and criteria behind. 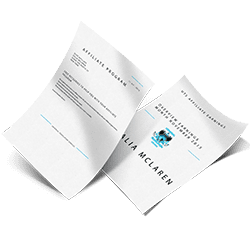 Any document which is required at an institution, whether private, governmental, corporate or any other, is translated with great attention to detail, just as we do with any other document. One of the main reasons why we put great effort into document translation is that they hold a significant place in the lives of our clients. And a single error could put them in the trouble of going through revisions, looking for multiple service providers, checking for proofreaders, and we most certainly don’t want that. So, we deliver professional translation services at affordable rates and a high-quality service provision with the assurance that nothing would go wrong with your projects at UTS. UTS provides high quality, professional translation services at affordable prices. Our employees are ready to take on any task: document translation, software localization, DTP services, website translation. Contact us now for a free quote. I’m very grateful I found the phone number 1-844-WETRANSLATE. Prior to using their translation services, my import/export company suffered great loss stemming from communication barriers. If it weren’t for Universal Translation Services, we would have gone under by now. This company has been in the translation business for eighteen years, and it shows! Their quality of service is excellent, and they keep in good contact with their customers. I hardly have to wait for a response when I am troubleshooting an issue with them. The Live Chat option is a user-friendly service as well. Thank you! I did my research before purchasing and I found that they are the most advanced service provider in the US, and in Europe. They came highly recommended, and I am here to recommend them, first-hand. They have solved so many communication issues between my company and suppliers. I couldn’t be happier.